Dr. Sherman is board certified in internal medicine and was awarded her medical degree by SUNY Downstate Medical Center in Brooklyn, NY. She then completed her internal medicine internship and residency at Mount Sinai Hospital. She established Westside Internal Medicine in New York City’s upper West Side, where she practiced from 1996-2017. 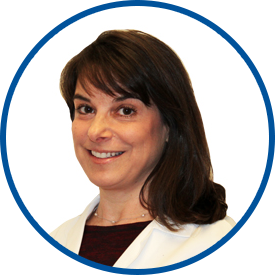 Currently, Dr. Sherman is also an assistant clinical professor with Mount Sinai Hospital, where she is also an attending physician. She is bilingual in English and Hebrew. Dr. Sherman is an excellent clinician and diagnostician. Traveled from Manhattan to see Dr Sherman. I tried a few doctors after she moved practices and she is well worth the travel time. Excellent doctor. Will continue my care with her. I followed Dr. Sherman , who has been my physician for almost 20 years, from her practice in Manhattan. I gladly travel because I implicitly trust her . A visit with her is always a most professional and wonderful experience. I like Dr Sherman. she seems to really care and gets me into specialist offices within 24 hours. she's an excellent advocate. I havealready recommended Dr Sherman to co workers. She is very good. Dr. Sherman is a kind and professional doctor who is genuinely concerned for your well being. I'm so glad to have her care for my health needs and ofter recommend her to my friends, family and colleagues. I trust her knowledge and value her advise. She simply a excellent Doctor. dr Sherman is the most professional, sympathetic, understanding, courteous and kindness doctor I have ever met. Dr Sherman is the finest GP I have ever had. you are so lucky to have her as part of your practice. I've always had a good experience with Dr. Sherman. Being a health care professional as well, I was able to bounce ideas with her and ask for her opinion and that's what I like the most. First visit to Dr. Sherman and Westmed and I hope you will continue with these high standards as I have seen on my first visit.